Cat cafes have gone from being a rare curiosity to a common sight on the high street in a matter of a few years. But dog cafes are new to the scene, so you better check out this cute coffee shop. The store in Bangkok, Thailand, unleashes a sea of cute corgis on customers while they sip their drinks. The cuteness overload is the perfect antidote to customers’ daily stresses. The corgis work their paws off six days a week, and hopefully, they are given plenty of treats for their troubles. Customers are invited to give belly rubs and interact with the lovely pups. Experts believe that the corgis have proved even more popular because of their squat, chubby bodies, and goofy faces. Who could say that they aren’t the most adorable pups around? The corgi cafe just seems perfect. There are two main breeds of corgi, both from Wales, UK. 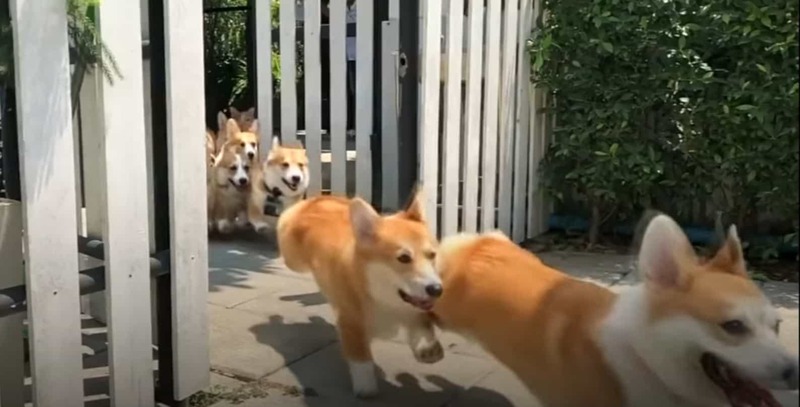 The Cardigan breed is less common, and the corgi cafe hosts the more popular Pembroke Corgi. Famously the Queen of England, Elizabeth II, has a love for Pembroke Corgis and keeps many as pets herself. She needs to get herself to Bangkok as soon as possible, as I think she’d like this quirky cafe. However, this cafe only has a very limited capacity, so be sure to book in advance if you’re planning a trip! How many of you would head all the way to Bangkok for this experience? Or are you going to wait for one to pop up nearer home? Let us know if you’d go to the cutest corgi cafe on the planet in the comments! Share with your friends and family if you think they need some corgi-based relaxation too! If you liked this story, check out similar ones on Happiest.